Just released on DVD is Voyage to the Bottom of the Sea (1964 - 1968), Season Four, Volume Two. This handful of episodes first aired in 1968 during the final season of the classic underwater series. Also included on the third disc of this new set are the original broadcast pilot, "Eleven Days to Zero" and the unaired pilot too. For this review, I decided -- in hopes of re-capturing the 1964 vibe -- to watch the broadcast version of that pilot, written and directed by famed "Master of Disaster," Irwin Allen. As you may recall, at first Voyage to the Bottom of the Sea was a successful 1961 motion picture starring Walter Pidgeon as Admiral Nelson. 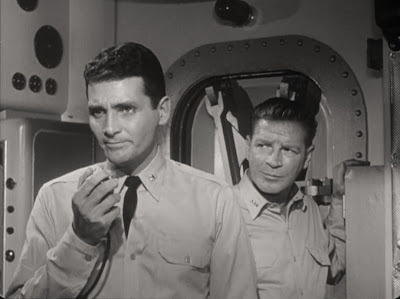 The film's detailed miniature for the submarine Seaview and the amazing, high-tech, live-action sets were put into storage afterwards, and by 1964, Allen took them out of mothballs for a new TV series starring Richard Basehart as Nelson, and David Hedison as Captain Lee Crane. Voyage to the Bottom of the Sea then ran on ABC for four successful seasons and 110 hour-long episodes (most transmitted in color; but with the first season only in black-and-white). What remains so compelling about Voyage to the Bottom of the Sea after all these years is that it began as high intrigue on the high sea, with an action quotient that is mostly unmatched even today. But, around the time of the second season -- when the series went to color -- the accent moved away from action towards science fiction and fantasy, and the series began featuring aliens, leprechauns, mummies, "Frost Men" and sea monsters of all shapes and sizes. 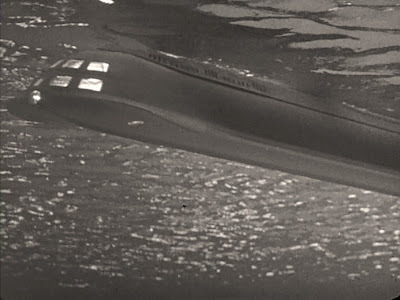 Season Two also introduced another amazing vehicle to the program, the fantastic "Flying Sub." 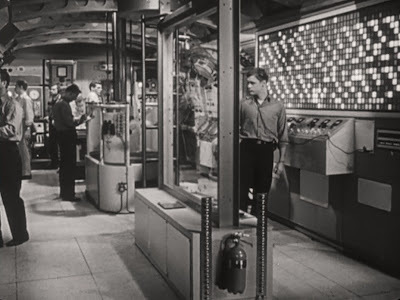 But for "Eleven Days to Zero," Voyage to the Bottom of the Sea remains a high-tech action and intrigue series, more along the lines of an early James Bond film than a Star Trek or Lost in Space episode. 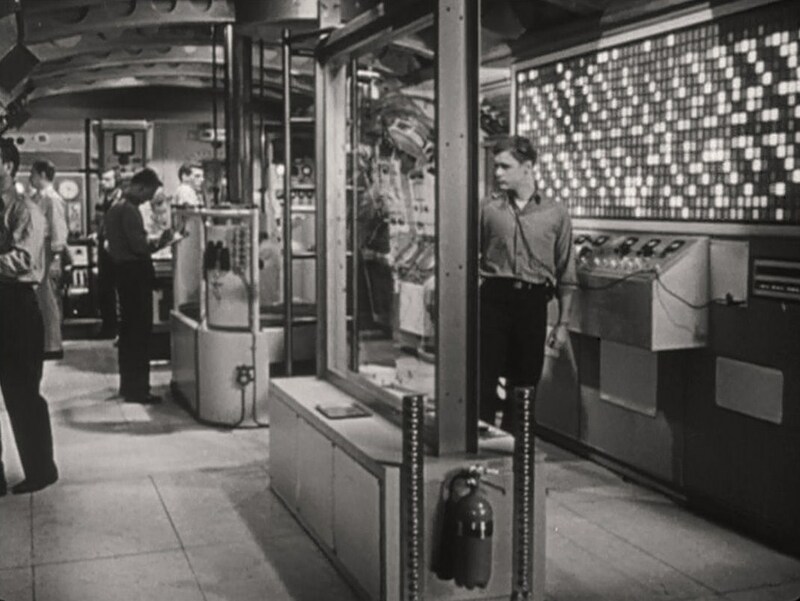 Irwin Allen's pilot is not a direct remake of the 1961 movie, though it does re-use some miniature footage from the film, and the plot is also pretty similar. It's funny, but in a lot of outer space dramas, the main spaceship always boasts roomy corridors, and relatively few extras on screen at any given point...a visual misstep which seems to go against reality. In the final frontier -- as under the sea -- space would surely be at a premium, and a fully manned vessel would seem like...well, a fully manned vessel, not a sparsely-attended hotel. In terms of tone, there is also something refreshing today about "Eleven Days to Zero" and the episode's total, utter lack of irony or self-reflexive humor. Every moment of high adventure -- even a tangle with a not-entirely-convincing giant squid mid-episode-- is played absolutely straight, with the finest production values of the day. There is no winking or nudging at the audience, only an attempt to portray the action vividly and memorably. In the Gene Roddenberry series, for instance, the dynamic characters added so much to the sense of action and drama, that the crisis scenarios of the week became all the more interesting...and immediate. Though the performances here are solid, neither Nelson or Crane ever comes off as multi-dimensionally as a Kirk or Spock. 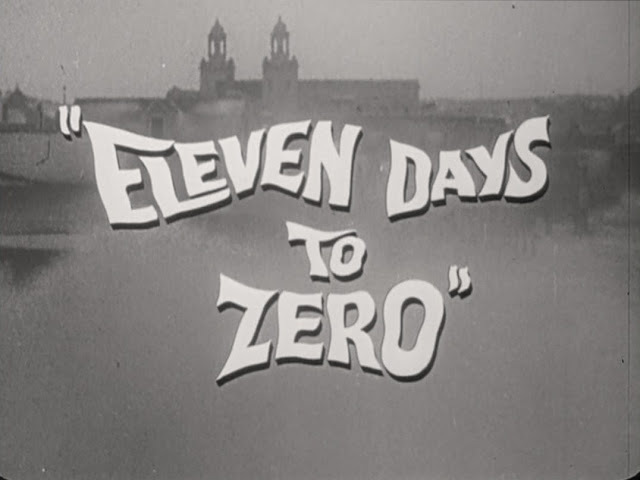 In fact, the only character arc of sorts in "Eleven Days to Zero" involves Crane proving himself to the crew, and establishing that he doesn't "lack imagination" to Admiral Nelson. Another way to put this: there's about as much character-building here as there was in the average Bond picture of the early 1960s. That paucity of character development remains easy to overlook in a single film, or even a series of films. But on TV, you ultimately come away looking to forge a deeper connection with characters you see every week; with either Crane or Nelson. The show doesn't have to be a soap opera; it just has to be written with an eye towards the individual characteristics of the protagonists; and their way of relating to their world. Succinctly stated, the changes were pretty darn enormous. And yet, I still found myself drawn to the colorful, vivid action and stunts of the piece. In general terms, there's a high nostalgia factor here for me, I suppose. I watched this show in reruns as a kid in the 1970s and, honestly, enjoyed it as much as if not more than Lost in Space. What appealed to me as a child is what appeals to me about the show now: the amazing, retro-high tech futurism of the 1960s vehicle designs (particularly in the case of the Flying Sub and the Seaview) and the steadfast focus on action, action, action. I've always been a sucker for stories about submarines and their crews (hence my fascination with Captain Nemo and 20,000 Leagues Under the Sea...), and Voyage to the Bottom of the Sea still sparks the active imagination with abundance. In the 1990s, Steven Spielberg embarked on a variation of Voyage to the Bottom of the Sea called SeaQuest DSV (1992-1995). It also began with a focus on hard-tech, adventure and "marine research" and then, in its second season, began featuring underwater Greek Gods, giant sea monsters, aliens and the like. Voyage to the Bottom of the Sea set that identical course first, nearly thirty years earlier, so it is odd -- to say the least -- that SeaQuest didn't learn from its predecessor's missteps. In short, this presentation is as close as you can get to traveling back in time to September 14, 1964, the night that Irwin Allen's Voyage to the Bottom of the Sea first set sail of adventure. Thanks as always for the tip--I'll have to check out that pilot! I too am a total sucker for the "retro high-tech futurism" of the 1960s (great phrase! ), having been weaned on "Jonny Quest" and "The Avengers" and early James Bond. But I still think that, nostalgia or no, a lot of those futuristic designs remain just plain stylish and timeless. SteveW: I totally agree with you. There's something timeless and endlessly engaging about the tech of Jonny Quest, Bond, Voyage to the Bottom of the Sea and Lost in Space. Sure, they got the whole miniaturization revolution wrong, but the vehicles, accouterments, ships, etc. still look absolutely fantastic. You offer some real insight into a series I've never really watched, but your accounting of it reminds me of sitting down to watch a real retro classic treat like LIS or Twilight Zone or The Outer Limits. Simple, quality sci-fi television. What is up with Allen's second seasons? Did he reuse monsters from Lost In space? It sounds like Seaquest even went all Irwin Allen after that first season. Your point about proportions is a good one. Irwin Allen certainly never gets those interiors right but there's something we just accept about these wonderfully imagined series. There'sa bit of the Tardis in Allen's work. Obviously sub films etc.., like everything else today, tends to go for gritty reality, but there was something fantastical in the the worlds of Irwin Allen. This is why it's such a treat to see them today. Your reference about Trek characters is a great one. I forget who wrote it, and where I read it- it was either a Stargate compendium of essays or a Firefly compendium of essays where the writer actually says something to the effect of 'Star Trek never had any real characters of depth accept Spock.' How wrong is that? But I agree, those production values on those first seasons are something to behold. Again, a real visual treat. This was a terrific analysis of a show I really didn't have a great handle on but maybe someday I should check it out. So I have 25 dollars do I buy Seaquest Season One or Voyage To The Bottom Of The Sea Volume One? I think I can guess your answer maybe only because we were separated at birth. I agree with youthat the reviewer who said that Star Trek had no strong characters besides Spock is way off base. Kirk and McCoy, right off the top, prove him wrong. To me, Star Trek offered the perfect balance of great narratives (great IDEAS) and colorful characters. It hasn't been topped yet, although I think in an Earthbound setting, The X-Files comes closest. In space, Farscape and Firefly are certainly brilliant in terms of characters, but the stories are not always as top-notch as those Star Trek offered so many years ago. You ask a good question there, regarding SeaQuest vs. Voyage to the Bottom of the Sea. That's tough, really. One is a retro-treat (Voyage), and one is a more serious, hard-edged science show (SeaQuest). I recommend buying both! How's that for a cop-out? No, as you said, we're separated at birth, so I'd probably give the nod slightly -- just slightly -- to Voyage! When I was a kid, LOST IN SPACE and VOYAGE TO THE BOTTOM OF THE SEA were series I'd never miss (along with all the others SteveW mentioned). BTW, I truly believe JONNY QUEST is one of the all-time best kid shows for what the sci-fi thrills it packed into its 30 minute episodes. It treated its youthful audience with an ahead-of-its-time good deal of respect, too. Fine look at the VTTBOTS series, John. I'll definitely look into this, especially for this original broadcast pilot (and those old commercials). Thanks, my friend. I loved Jonny Quest too. I really need to see that series again and review it here on the blog. I agree with you (based on my happy memories) that it was ahead of its time and treated the youthful audience with respect. HA! I loved your comments. I agree with you too with regard to Farscape, Firefly and Star Trek. Great, subtle points John. I want you to know I expected you to pick Voyage. If you hadn't I might have thought alien abduction was involved. All the best my friend. I really appreciated this nostalgic and very fair look at a much maligned series. Voyage is, aside fro classic Trek, my all time favorite series. Strangely enough, I didn't discover Voyage until 1991, when I was 24. So I can't say I have nostalgia coloring my view here. There's something about it that gets me. And it doesn't matter what season I watch, I tend to enjoy most of the 110 episodes. Actually, I prefer the second season to the first for the most part. While the overall atmosphere was most serious and the story quality highest in the first season, the second was overall the most fun. There were a number of dragging, plodding episodes in the mid-late first season and a very dour feeling without energy. I blame the music, which was very somber at this point. When the series went into color, it was also lightened up in tone. Plus the background scores were much more up tempo and loud. 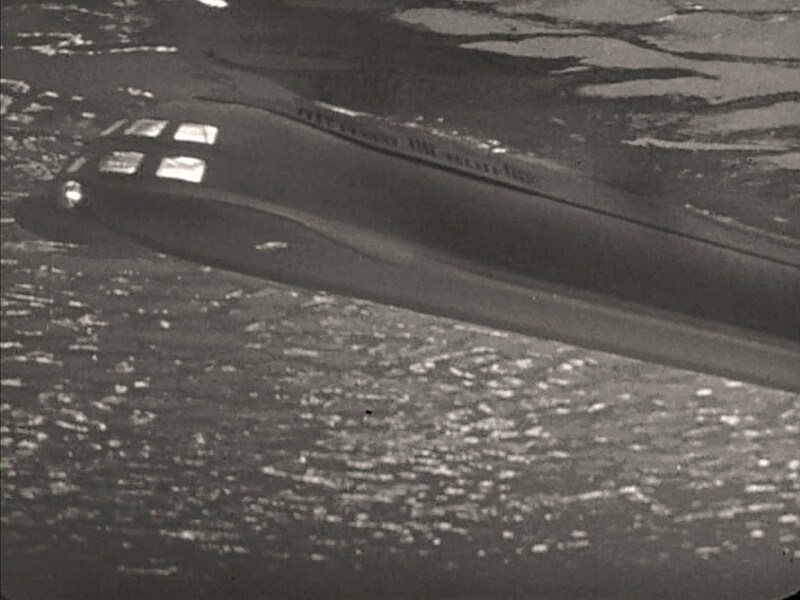 The Flying Sub was the best thing to happen to the series at this point and the sci-fi was still pretty well handled. It didn't hurt that Richard Basehart was quite possibly the greatest actor is his time and even on a lazy day, he breathed life into the scripts. I would like to address your comment that "But, around the time of the second season -- when the series went to color -- the accent moved away from action towards science fiction and fantasy, and the series began featuring aliens, leprechauns, mummies, "Frost Men" and sea monsters of all shapes and sizes." To be fair, much of those ingredients came about in the third and fourth seasons. The second, while still more far-out, did have some restraint, or to be more accurate, still had actual stories to fill the hour rather than action set-pieces strung together to fill time. Aliens were always in the mix, as far back as the early first season, as were the sea monsters. It wasn't what was there but how they were presented that counted, and for the first two years, they were mostly done very well. What killed the series, in my opinion, was the reliance on stock footage - not just to save on having to re-film another ship flyby (ala Star Trek), but to build the plots around. 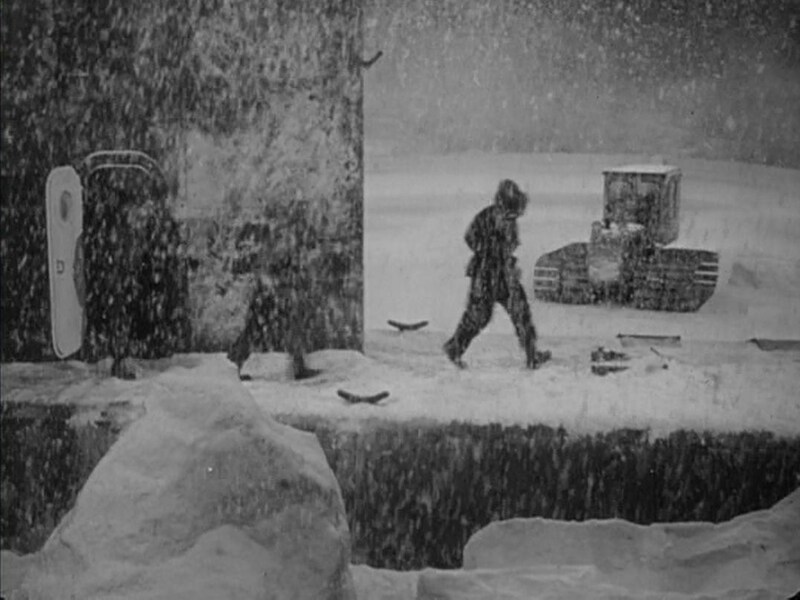 Films like The Lost World (Irwin's), The Enemy Below and the 1961 Voyage film were tapped for footage, as were previous episodes. "We have 25 minutes of stock footage, build a plot around it and shoot for three days" seemed to be what was going on. While a few later 2nd season episodes did this, it became a real issue in the 3rd. If you check out the pattern, Irwin's shows all dropped in quality at the same "calendar" time. Voyage and Lost in Space hit the skids in 1966, when Irwin was spreading himself thin with those shows and The Time Tunnel. Voyage had two good years, LIS had one, and Time Tunnel had a half season before it got repetitive. When Time Tunnel got canned, the other two shows improved somewhat. But by then, it was too late. Anyway, this is a little longer than I intended. Thanks again for your thoughtful appraisals of some of the more "looked down upon" shows that I always loved. Nice to see someone out there with the same taste. Wow, that's an amazing comment! Thank you for a little more clarity about Voyage's progression ovre the years, particularly about the changes in season three. I'm still a fan of the show, particularly in the early days, and yes, I do love that flying sub! It's always nice to meet another fan of Voyage, since it seems to be out of fashion these days.